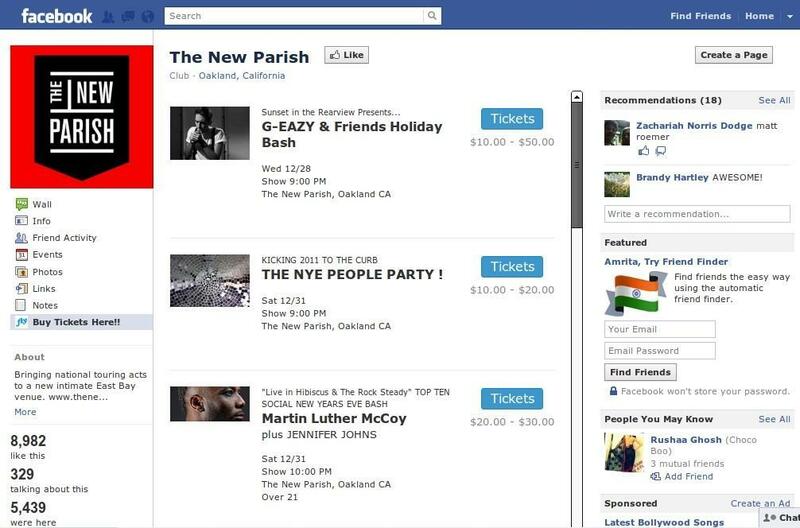 Facebook could soon become the online ticketing hub for artists and dedicated music fans with the launch of Ticketfly’s Facebook ticketing app (see a demo of the app here), which lets users know when their friends buy a ticket to a live show, thereby boosting ticket sales by relying on the seamless power of the social network. Without leaving the confines of Facebook, people can now find out about a show from their friends, and also share when they buy a ticket, thereby widening the circle of people who learn about the event. For event organizers and artists, this is a boon, since their work in publicizing the event and working to boost ticket sales is reduced, now that all the work is essentially done through a process of online sharing within one huge network. Facebook users can now buy tickets without being directed to an external ticketing service such as Ticketmaster or Live Nation. It all starts with artists or their managers installing the app on their Facebook artist page, where it would be using Facebook Connect log-ins to authenticate users. Once the artist or the manager of the Facebook page activates the “Facebook purchase amplifier” on its page, users can buy tickets and also share this activity with their friends to see. This could seriously change the nature of the ticketing market, and boost sales to an unprecedented amount, making it very useful for artists who rely on box office receipts now more than ever. For the audiences, it is a win-win situation, with sales and the market changing according to their buying habits and their own friend circles. “The fans help sell tickets, which pretty much frees you up to work on other aspects of your business,” says Eboni Jones, who handles marketing and communications for Parish Entertainment Group, a beta partner of the service. “We’ve been able to sell tickets out and we’re just able to manage our inventory a heck of a lot better. 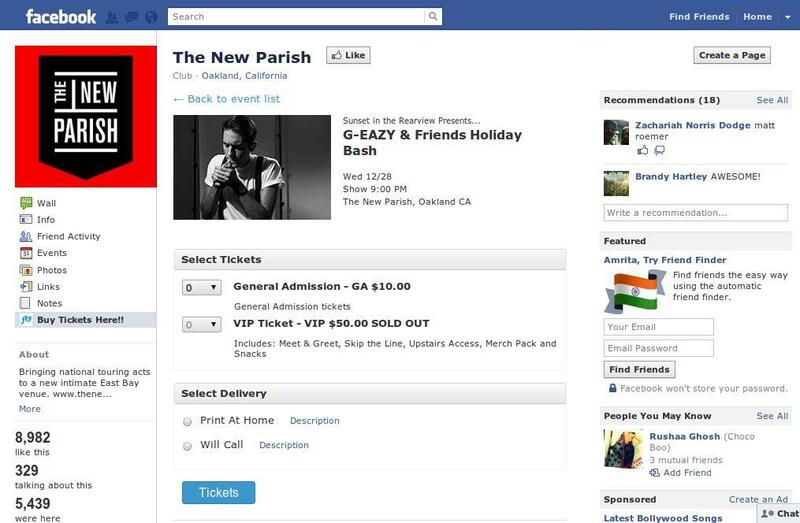 Using Facebook to sell tickets benefits both the artists and the fans in more than one ways. Using the network, artists can build a dedicated fan following that knows where they are performing next, buy tickets to their shows and bring their friends along too. For the fans, it is simplifying the activity of buying tickets by relying on their favorite social network and transforming their social butterfly habits into an all new music sharing experience.